On March 5, 2012, the Circuit Court for Carroll County, Maryland released its opinion in the case of State v. Brightful, et al., granting the defendants’ pre-trial motions to exclude the opinion of a drug recognition expert (DRE) in each of the consolidated cases. The case was litigated by defense attorneys Brian DeLeonardo and Alex Cruikshank. The court heard 10 days of expert testimony from both sides between September, 2010 and February, 2011. The State presented six expert witnesses: Dr. Karl Citek, Ms. Michelle Spirk, Mr. William Tower III, Officer William Morrison, Lt. Thomas Woodward and Dr. Zenon Zuk. The defendants called three experts: Dr. Francis Gengo, Dr. Neal Adams, and Dr. Jeffrey Janofsky. The court concluded that the DRE program is not generally accepted within the relevant scientific communities and that therefore would be excluded under the cases of Frye v. United States and the Maryland case of Reed v. State, as well as under Maryland Rule 702. The DRE Protocol fails to produce an accurate and reliable determination of whether a suspect is impaired by drugs and. by what specific drug he is impaired. The DRE training police officers receive does not enable DREs to accurately observe the signs and symptoms of drug impairment, therefore, police officers are not able to reach accurate and reliable conclusions regarding what drug may be causing impairment. The State failed to prove by a preponderance of the evidence that the drug evaluation and. classification program is not new or novel and is generally accepted within the scientific- community and, therefore, it is subject to analysis under Frye v. United States and Reed v. State. The drug evaluation and classification program does not survive a Frye/Reed challenge because it is not generally accepted as valid and reliable in the relevant scientific community which includes pharmacologists, neurologists, opthamologists, toxicologists, behavioral research psychologists, forensic specialists and medical doctors. For the reasons set forth above, the Court hereby grants Defendants’ Motion To Exclude The Drug Recognition Expert Protocol and Drug Recognition Expert Opinion. 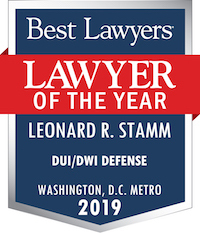 If you are facing criminal or traffic charges in Maryland state or federal court, call Leonard R. Stamm or Johanna Leshner of Goldstein & Stamm, P.A. at 301-345-0122 for a free consultation. 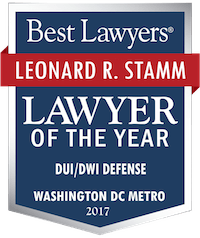 Leonard R. Stamm Goldstein & Stamm, P.A.